I’ve just finished going through the very lengthy backchannel transcript from my day in Texas and it was a long and action packed sequence of comments. It always is when there are youngsters in the audience. One young fellow, a rising high school freshman, came up during one of the breaks and told me about how he had become fascinated by the auction houses in World of Warcraft and found himself researching and learning about macro and micro economics. I asked the audience of mostly teachers when they learned about macro and micro economics. Unanimously, it was college. It’s part of a theme, “control,” that came up several times during session discussions, backchannel, and during conversations I had at lunch. Self-righteous complaints abound, that teachers just want to control the classroom. But let’s get it straight. When teachers are held accountable to a highly itemized and defined set of instructional standards, then there is a legitimate need to manage (control) the learning in productive ways. In my opinion, however, managed learning is not in the best interests of todays children who live in rapidly changing times. Empowered learning and the freedom to “do” with their learning seems, to me, to be a much better approach as we redefine the tools and environments for formal education. What Does You Wall do Outside of Your Lessons? It may be the schools and districts that invite me in to teach. It may be my own preferential perspective. I don’t have any supporting statistics, but it seems to me that ceiling or wall mounted computer projectors are becoming ubiquitous in U.S. classrooms. If this is not the case, then it should be. At any rate, classrooms without the ability to project, for group consideration, abundant, networked and digital content is more and more obviously out-dated, designed to prepare it’s children for a world that we have left behind. I understand that the recent focus on classroom projectors and especially interactive whiteboards, has been questioned and the the source of many contentious conversations, and I agree with most objections. Any focus on any one information and communication technology as “the” solution to the “ed tech problem,” is narrowly considered and jeopardizes the effective and appropriate education of it’s children. But that aside, if you do have a classroom computer, projecting its images to a wall of your classroom in some way, what is that wall doing when you’re not teaching with it. It’s a question that has occured to me before, but this morning, as I glanced at Martin’s (my son) Video-A-Day posting, I began imagining a classroom, before the bell rings, students walking in for 50 minutes of instruction, and a video playing, with no audio besides some appropriately spacey music, illustrating The Known Universe. How compelling can you be? Does this even have to be a science class? Can’t it be a communications class, where students communicate their impressions of the message, or math, where students are asked calculate relative distances? The term that floated out of these thoughts was Class Dashboard. It may not be an entirely accurate description, but I wonder how your projector and wall might be utilized to facilitate learning between and beneath the bell schedule? 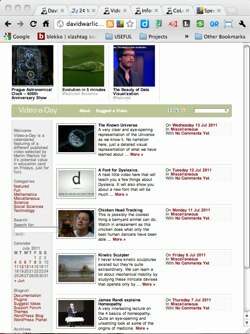 Author David WarlickPosted on July 13, 2011 July 20, 2011 Categories education, information, learning, teaching, technologyTags education, learning, teaching, technology, video, video-a-day, warlickLeave a comment on What Does You Wall do Outside of Your Lessons? So What do you Call a Textbook that isn’t a Book? 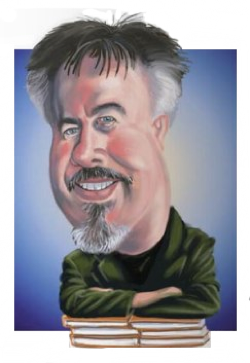 I proposed a conversation for the EduBloggerCon last Saturday, part of ISTE 2011. The title was something like “How Might Social Media/Networks Help to Redefine the Textbook?” From the digital votes that it got prior to the event, I’d assumed that the conversation would not make the cut, and so I did not finish up the Google Forms activity I had planned for kicking off the conversation. So I was surprised not only that it was scheduled as one of the first conversations, but also scheduled to be repeated during the afternoon. Someone made a mistake! Anyway, I was able to hobble together the Google Forms activity, thanks to the immense patience of my un-audience, which resulted in this blog post of a few days ago. The state of the textbook is such a huge and timely topic that I was not able to focus the conversation specifically on the implications of a next textbook’s socialness. But one issue that did emerge in both conversations what what we call future textbooks, that aren’t books? It’s always seemed like a trivial issue to me, because the English language is full of terms that no longer apply directly to their original meaning. For instance, the word manufacture use to mean to make by hand. One likable idea came out of the afternoon session from a teacher who uses Moodle as the basis for her classroom instruction. She calls it her digital curriculum. I like it because it describes what we’re talking about in a way that leaves nothing out — though the otherwise useful term, digital, is somewhat limiting. What I like most about this concept of a teacher designed, produced, and maintained assembly of resources and tools is that there is little that’s new about it. 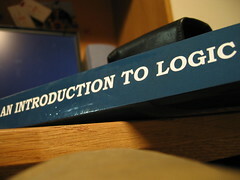 I have never asked the question before, but suspect that if I were to ask an audience, “How many of you do not use textbooks in their classes?” a significant number of hands would go up — and even more if I were to ask about their textbook being merely a supplement to the teachers collected curriculum. There are two problems here, however, one of which I didn’t get a chance to ask during the unconference, and the second occuring to me on a few minutes ago. Number one, what about the first year teacher? For how many of us was our textbook the life raft that saved us from drowning in the unexpected complexities of our first couple of years of teaching? This was certainly true for me. ..and somehow, using somebody else’s digital curriculum might not hold quite as much air as an industry structured hardcover-bound curriculum (textbook). I often suggest to higher ed folks that their job is to prepare future teachers for the first five years of their career, and to make sure that they have the contemporary literacy skills to continue to self-develop within their profession. A significant and pivotal part of this might be the construction of their first year digital curriculum, something that they can carry with them into their job interviews. Author David WarlickPosted on July 5, 2011 July 10, 2011 Categories conferences, education, literacy, technology, textbooksTags 1:1, ebc11, education, iste11, iste2011, technology, textbook, warlickLeave a comment on So What do you Call a Textbook that isn’t a Book? 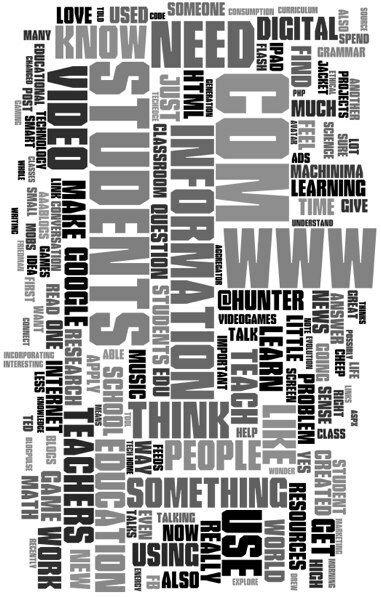 Quite a few people have commented on the note files that I have been sharing from the ISTE 2011 conference in Philadelphia. So I thought I would share some details about my note-taking process. First of all, concept maps seem a logical way to take notes for me. They do not, by nature, expect complete sentences, but do carry a visual syntax of relationship, which is easily editable during less pertinent moments of a presentation or workshop. The challenge has been to find a tool whose interface is simple enough for quick work, rather than just for the slower and more deliberate idea mapping, for which most concept mapping tools are designed. I’ve used this technique for years on laptop settling on XMind, an open source product that is free, provides cloud space for sharing, and is cross-platform (Mac OS, Windows, & Linux). 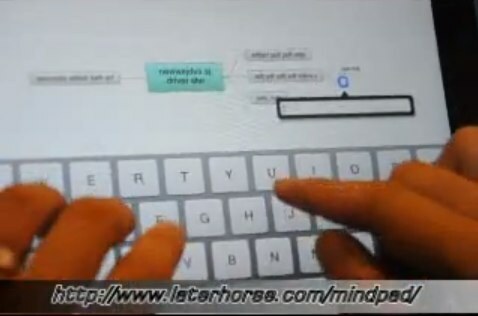 In February of 2010, XMind’s blog mentioned plans to develop an iPad version, but none exists at this time. 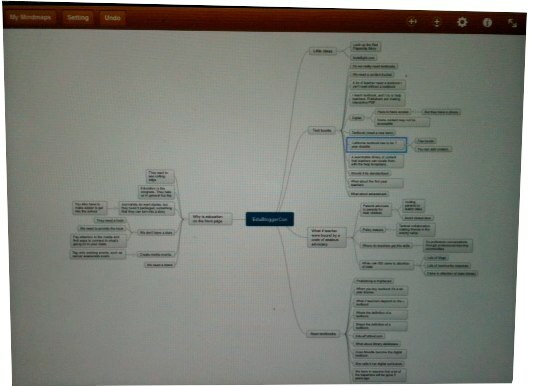 However, there is a plethora of other mind mapping tools available for the iPad, each with its own strengths and weaknesses. For a long time, my preference was SimpleMind. But its freeform functionality, though highly effective in some circumstances, requires attention to maintaining an practical flow of ideas. I finally settled on Mindo, which is the app I used at ISTE11. It’s main power is the ease of use. When entering a list of items, I merely type the item name (I prefer to thumb on my iPad) and then touch [Next]. It starts another sibling box that fills as I continue to type. I can also start a new sibling item by double-touching just above or below and existing idea box and a new child item by double-touching to the right of an existing box. PNG – An image format which is what I typically use to share my notes at a conference. PDF – Perhaps another logical format to use at conferences, but I haven’t tried it yet. TXT – In outline format and coded in HTML. OPML – Obviously a meta data markup language. Click the image to the right and above for a video of Mindo in action.